Product prices and availability are accurate as of 2019-04-18 11:40:26 UTC and are subject to change. Any price and availability information displayed on http://www.amazon.co.uk/ at the time of purchase will apply to the purchase of this product. 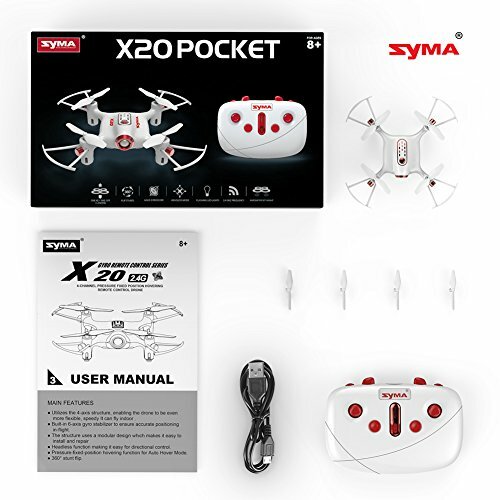 Syma X20 Mini Drone is the newest drone upgraded with multi features, more stable and more suitable for kids and novice users. Hover / Altitude Hold Mode: Drone altitude specified a flight mode. Beginners easy to manipulate. 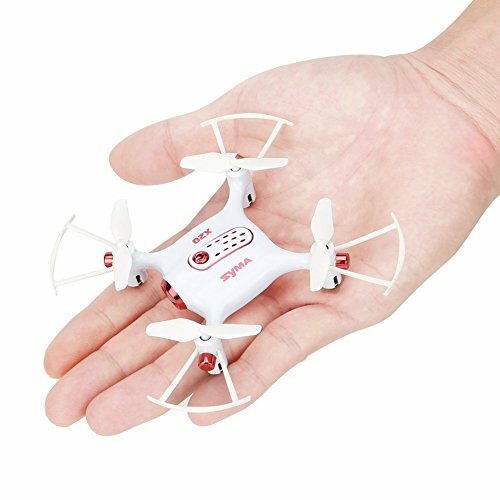 One Touch Down function is most important to protect the drone when it is out of control or low battery power, the drone will fly down slowly and land on the ground automatically before the motors stopping. Headless Mode makes easier flight: Once the fuselage direction can not be recognized, it can enter headless mode so as to continue the flight. 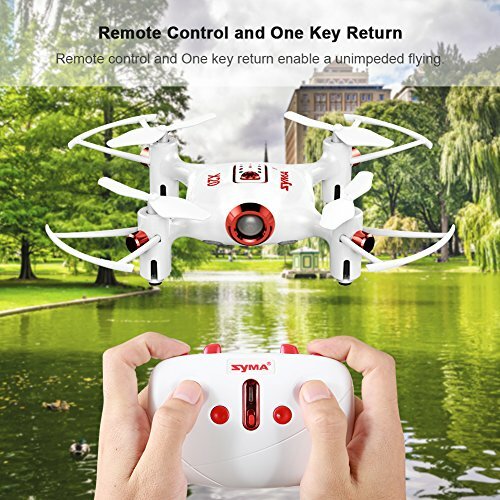 One Key Take-off and Landing function: allow beginner to easy to fly the drone without any skill. Designed LED lights are fitted for night flight possibilities, leaving a beautiful landscape in the night sky. More Functions: Forward/backward, sideward flight, turn left/right, up/down, altitude hold, one key take off/landing, 360° stunt flip, headless mode, fast/slow speed, etc . 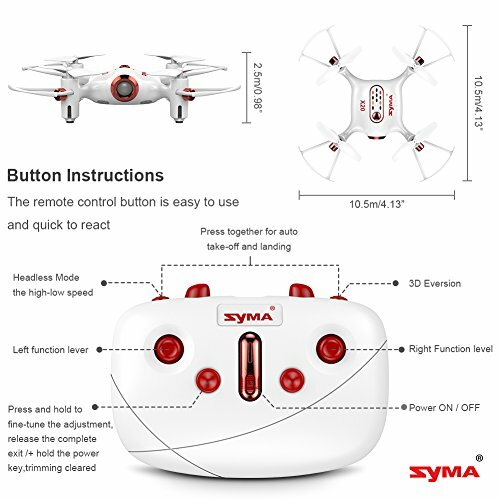 1.Four indicator lights at the bottom start flashing indicate the power is low.Please fly back the drone immediately. 3.Use dry and soft cloth to clean this product and do not immerse this product in water. ?One Key Take-off and Landing Function?Simplifies the operation and encourages everyone to have a try. 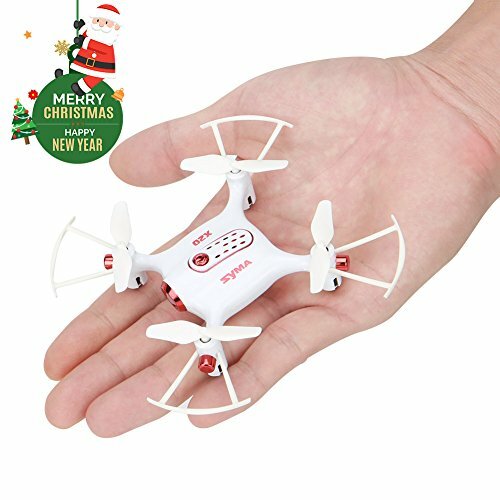 It is helpful to protect the drone when it is out of control or low battery power. ?Built-in 6-Axis Gyro Stabilizer?Utilizes the 4-axis structure and altitude hold function ensure the stability of flight. ?360°Stunt Flip?A key 360°roll, continuous roll for perfect actionand wonderful performance. With the colorful flashing light, keep your aircraft at night flying is quite excellent. 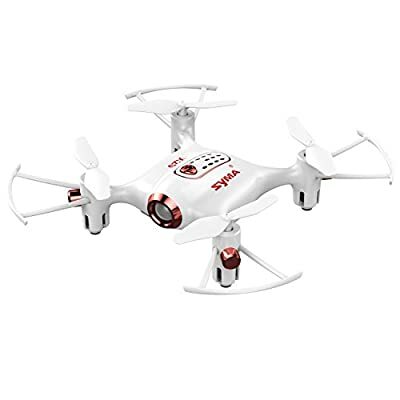 ?Double Protection?Low-voltage protection and over-current Protection.If the drone suffer a direct external impact or be obstructed,the over-current protection mode will on automatically. ?Headless Mode?In headless state,the operator just needs to control the aircraft in accordance with the direction of remote control's operating rod. It helps the beginner to get the hang of directional control within several minutes.